I think the original Die Hard movie was one of the best and most fun movies ever made and I am a fan of the franchise. Except for the third film of the series, Die Hard with a Vengeance which sucked, the Die Hard films have been fun to watch. 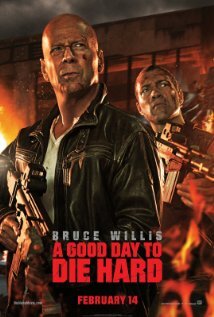 So when the newest film, A Good Day to Die Hard, was announced, I knew that I would be there opening night. 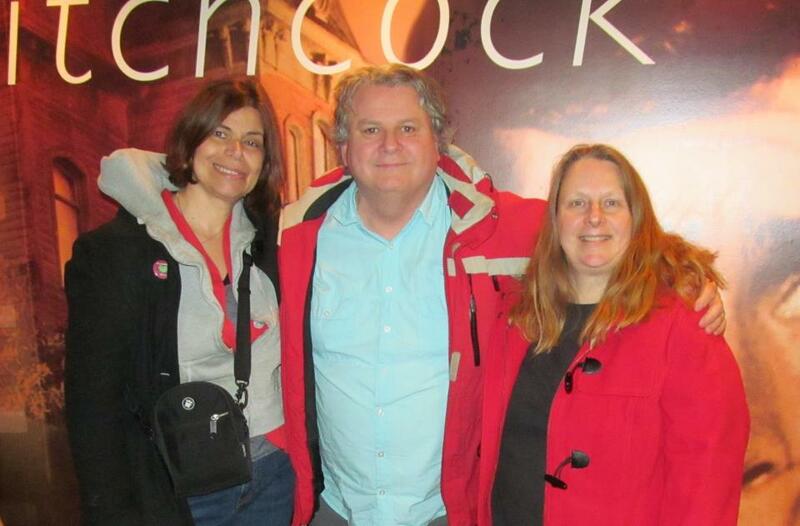 Teena, I and our friend Trish were at the 7 PM show. We saw the movie in IMAX, which is an awesome way to see an action movie like this, but even more cool was that the theater is reserved seating, so when Trish bought the tickets on-line, she also reserved 3 seats together, so we didn't have to worry about getting there extra early for seating, knowing the theater would be sold out, which it was. Thanks Trish! It was a fun, action packed, and loud movie. Of all the Die Hard movies, this is one which requires the movie goer to have the greatest stretch of belief in what is happening. That doesn't mean it's a bad movie. It is a fun movie which a few twists and turns. Jai Courtney was excellent as John's son. I could really buy in that he was as tough as he was. Bruce Willis was his usual funny, tough, indestructible self. As is usual in the series, John McClane does not get along well with his family, and this is the underlying theme in this one. Jack is not fond of his father John and refuses to even call him Dad. I would recommend this film to all action fans. It definitely is a movie to see on the big screen! I won't even acknowledge #3 as part of this series although I should watch it again to see if my initial reaction to the movie stands. They are talking about making a sixth final Die Hard movie. When they do, we'll be there opening night!